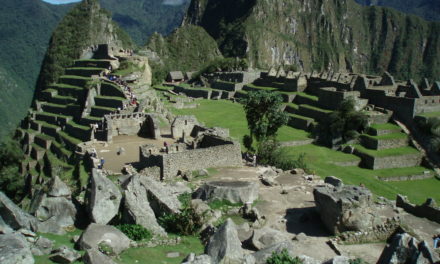 Machu Picchu is undoubtedly the main draw for most visitors to Peru. 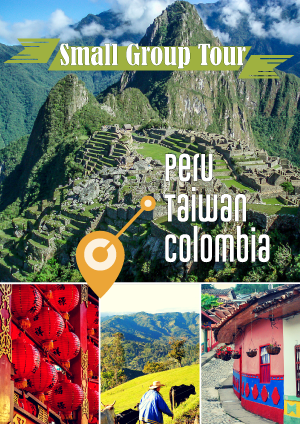 But when you have to jostle with a forest of smartphones, selfie sticks, and the occasional DSLR cameras just to take a decent photo of the famed Inca ruins, your experience might not be what you have made it up to be. With a few thousands visitors a day, Machu Picchu is suffering from overtourism. But Peru is more than just Machu Picchu and the Incas. In the north eastern part of the country, flying under the radar of most tourists, is the storied and impressive Kuelap – a walled settlement that sits atop a mountain – of the Chachapoyas, also known as the “Warriors of the clouds.” The Chachapoyas were a Pre-Inca people who lived in the cloud forests of what is today Peru’s Amazonas region. Surrounded by towering mountains and valleys of patchwork farmland, Kuelap is a breathtaking sight. At 3000m above sea level, it’s literally breathtaking. With its strategic setting and an impressive wall – 20m in height and with an average thickness of 80cm – many archaeologist believe that Kuelap was a fortress. 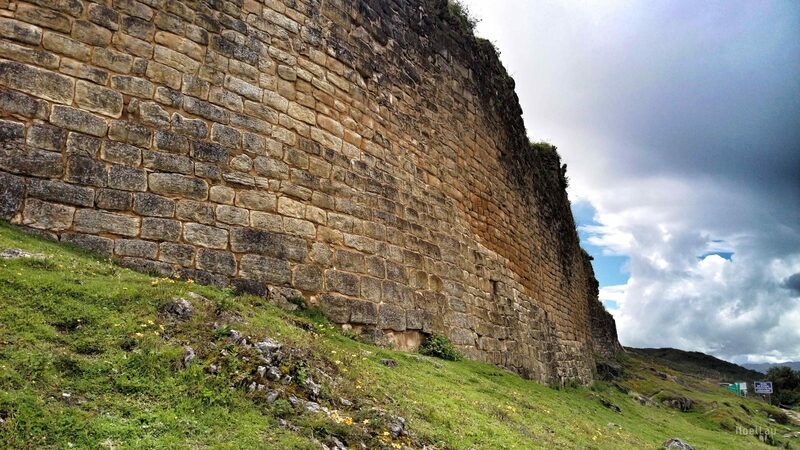 It’s three main entrances were designed to deceive any invading armies: The wide entrance is gradually narrowed to the point where only one person could pass through at any given time, allowing the Chachapoyas to pick their enemy off one by one. However, Kuelap is more than just a fortress. Inside the wall, with an area of almost 65,000 square meters, there were not only military buildings, but also buildings that were religious or domestic in nature. 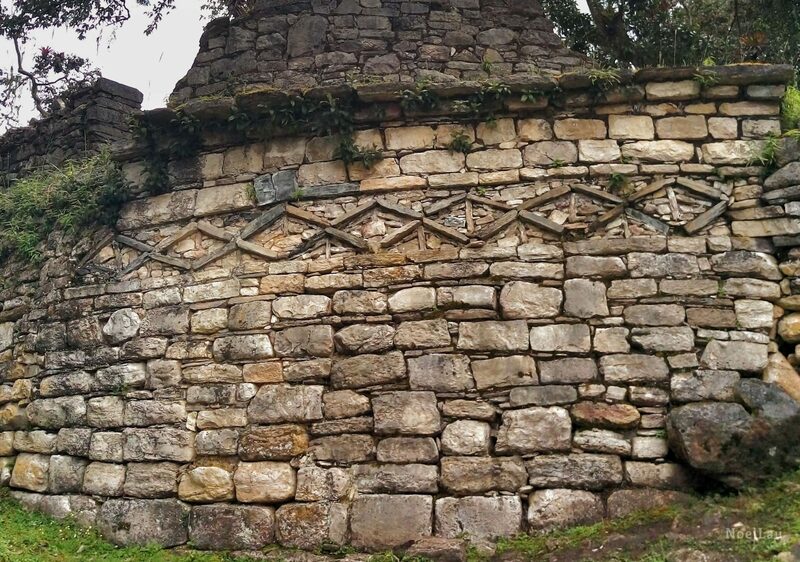 There are over 400 structures within the wall; most of them are circular in shape. But only the foundations and some walls of these structures remain today. Some of the buildings are decorated with zig-zag or diamond shape designs. It is estimated that at its height, Kuelap had a population of up to 3,000 inhabitants consisting of not just warriors, but also merchants, shamans, and farmers. The site was reportedly first settled in the 6th century. 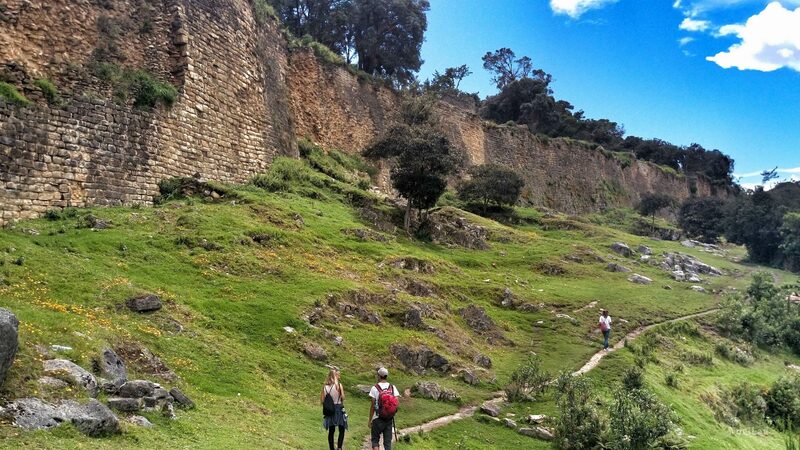 Kuelap was slowly built by the Chachapoyas to protect themselves from hostile neighbouring tribes. 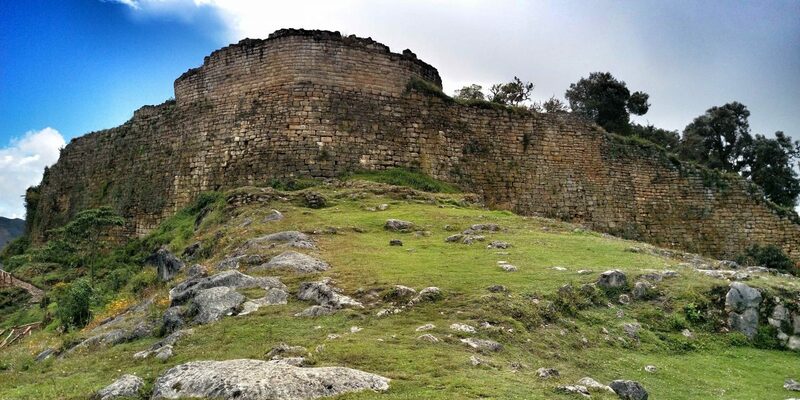 Then in the second half of the 15th century, it is believed that the Chachapoyas were conquered by the Incas, who didn’t actually destroy Kuelap. 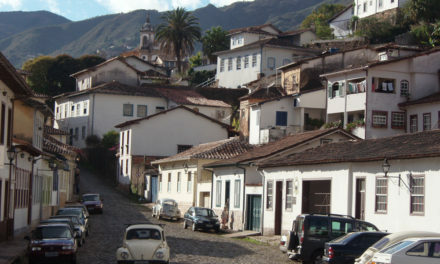 The Chachapoyas continued to live there until the arrival of the Spanish conquistadors a century later. 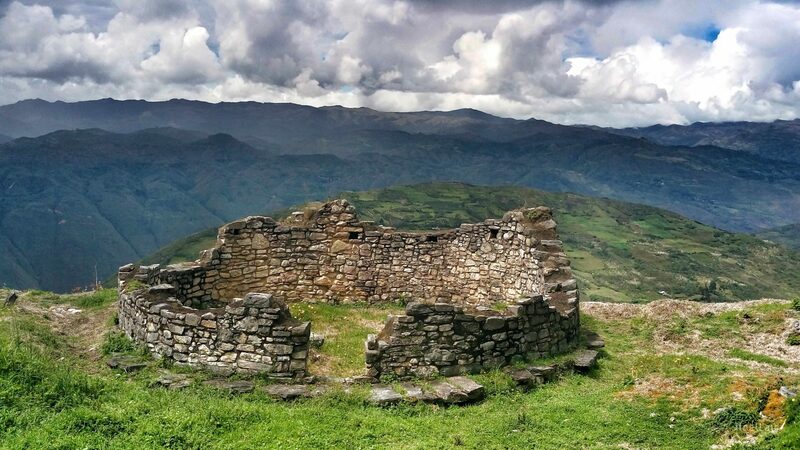 With that, the Chachapoyas culture collapsed and Kuelap was abandoned. 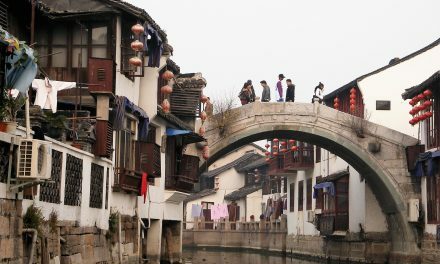 Over time this once prosperous walled city was forgotten. Locals living in the vicinity knew of its existence but the outside world only came to know about it when it was “rediscovered” in 1843 (68 years before Machu Picchu). As archaeologists continued to dig, the more sinister side of Kuelap started to surface. In 2010 the remains of 79 bodies dating to the 7th century were found inside a stone wall. Human and animal sacrifice is said to have taken place in one of the more interesting structures – the tintero, an inverted cone shaped building of 5.5m in height and 13.7m in diameter. If you go with a guide, they will show you a crack in a wall where human bones are entombed. With its past still shrouded in mystery it is no wonder that since its rediscovery, Kuelap has received a lot of attention from archaeologists and historians. However, this amazing place has yet to be discovered by mass tourism. This could be due to the remoteness of the place and the difficulty in getting to Chachapoyas – the capital of the Amazon Region and the base for travelers visiting the area. However, Kuelap might soon show up in many tourists’ and travelers’ bucket list. There are more commercial flights getting to Chachapoyas from other cities in Peru. And the Peruvian government has built a cable car, the first in Peru, to transport visitors right to the doorstep of Kuelap. It started operation at the beginning of 2017. The short and smooth ride is a huge time saver compared to the old bus ride through windy and bumpy mountain roads. 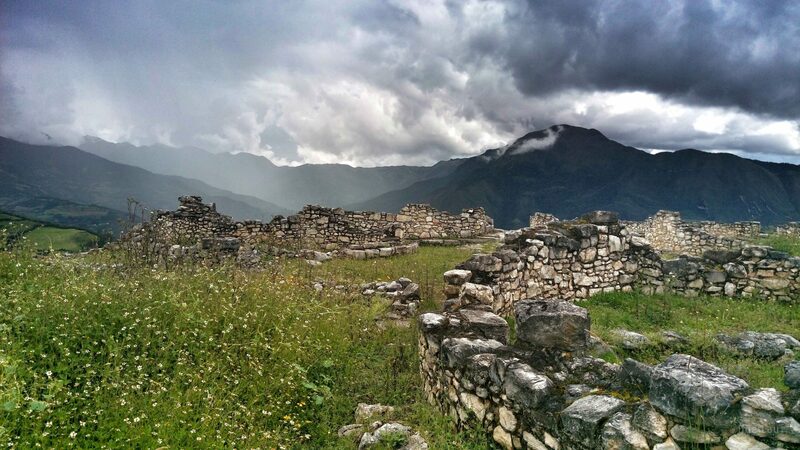 The more adventurous and budget conscious travelers can hike to Kuelap from the village of Tingo. The hike takes about 2-3 hours one way. With visitors totalling about 50,000 annually, compared to Machu Picchu’s 2 million, Kuelap gives visitors the kind of solace and tranquility that the more touristy sights can’t: there was no clicking of shutters to disturb the peacefulness of the place, and no need to jostle for space to line up for the perfect shot. On a quieter day, llamas outnumber visitors and the serenity transports you back in time as you walk in the footsteps of the ancient “warriors of the clouds”. How Is it possible for the cloud people to surface in the Deep South of Louisiana or their linage.